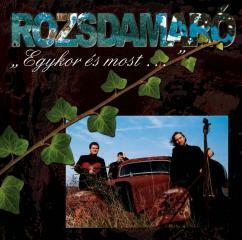 The debut album of Rozsdamaró Ensemble mostly contains music from Transylvania, the western part of present-day Romania, where Romanians, Hungarians, and many other ethnic groups live together. Where not stated otherwise, the tunes they play are Hungarian ones, although quite often one cannot clearly separate the Hungarian and Romanian music of the region. Rozsdamaró Ensemble is a band of young musicians, who collect tunes from over the Hungarian border, they learn the music and the way of performance from known and unknown authentic folk musicians. The aim of their work is to keep the dance-houses alive for a long time, and to show this music of our ancestors to today’s people, and to the next generations.